Channel 4 is a British public-service television broadcaster which began transmission on 2 November 1982. Although largely commercially self-funded, it is ultimately publicly owned; originally a subsidiary of the Independent Broadcasting Authority (IBA), the station is now owned and operated by Channel Four Television Corporation, a public body established in 1990. The channel was established to provide a fourth television service to the United Kingdom in addition to the television license-funded BBC´s two services and the single commercial broadcasting network, ITV. After control of the station passed from the Channel Four Television Company to the Channel Four Television Corporation in 1993, a shift in broadcasting style took place. Instead of aiming for the fringes of society, it began to focus on the edges of the mainstream, and the centre of the mass market itself. It began to show many US programmes in peak viewing time, far more than it had previously done. It gave such shows as Friends and ER their UK premières. 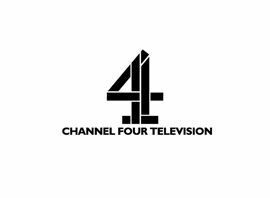 In addition, the corporation launched a number of new television channels through its new 4Ventures offshoot, including Film4, At the Races, E4 and More4.